I lost 6 lbs this month - making my total weight loss 121 lbs right now. I surpassed my drivers license weight of 160! Ha! It's nice to know that when I go to renew it this summer, my weight won't be the same as what was noted on there since I was 16. When I first started my journey, I would weigh myself constantly. After two months of that, I started weighing myself once a month. 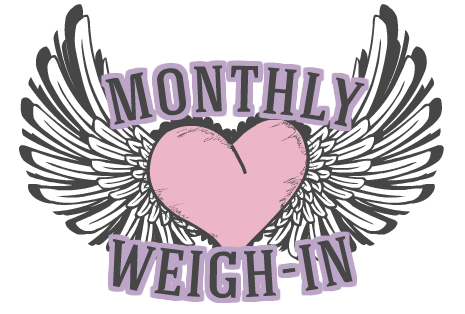 I loved watching the number on the scale change drastically every month. That wasn't the only way I was tracking progress though. I used to measure myself monthly, but that got old quickly. 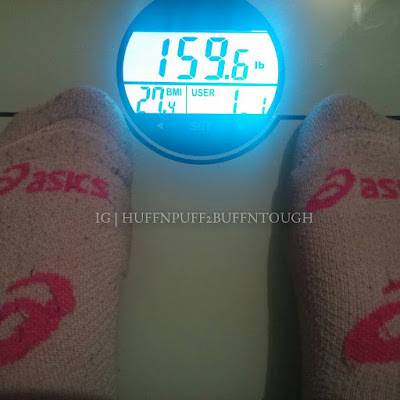 The beginning of last year (2015), I started weighing myself more often throughout the month because I wanted to learn more about my body during the weight loss process - monthly weight loss patterns, fluctuations, how it reacts to cheat meals, etc. I started weighing myself weekly (3-4 days/week) and by doing so, it has allowed me to learn more about my body than I could have ever imagined. I have learned a lot of interesting facts! I am continuing to weigh myself weekly this year. I've learned that my body takes on certain patterns when it comes to weight loss and it also takes on a pattern with fluctuations. The first thing you need to remember when it comes to your weight is that, your weight fluctuates daily! It's normal! It's nothing to freak out about, yet people still do. If I weigh myself the day after a cheat meal my weight will sometimes rise anywhere from 3-6 lbs, and will remain that way for 2-7 days before it goes back down to where it was before I ate it. Sometimes, my weight isn't affected at all after a cheat meal. I will get a few months of really high weight loss results, losing anywhere between 6-10 lbs, followed by a few months of really low weight loss results, losing anywhere between 4-5 lbs and it cycles. I have lost weight every month for the past 13 months with the weight loss being no lower than 4 lbs. There will be months where I won't see a drop at all in my weight until the very end of the month. 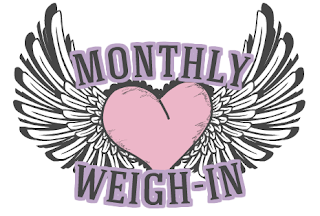 There will also be months where my body is dropping weight consistently throughout the month, and other months where my body drops most of the weight at the very beginning. As you can see there is no set pattern or schedule you can count on. I firmly believe that you need a cheat meal every so often to throw the body a curve ball. A cheat meal can actually help your body stay fresh by keeping it guessing. I am currently in the process of experimenting with the placement of my cheat meals throughout the month, (i.e. beginning, middle, and end) to see if that plays a role in the pattern my body decides to take for that month and the amount of weight I lose. I will definitely update you all on my findings and results. When it comes to weight loss, weighing yourself that often is not for everyone, so I won't recommend doing that. That is what works for me and what helps me gain knowledge about my body during this process. In the end... The number on the scale is just a number and it is most definitely not how I measure my overall progress. Remember, the scale is a useful tool if you know how to use it and you don't get frustrated easily by what you see or don't see on the scale. Gaining knowledge about how your body operates and reacts during this process will help ease the freak outs and frustrations you may experience. We've all been there, but having this type of knowledge really helps. How do you feel about the scale? Do you use it? Are you part of the "throw your scale away" crowd? I want to hear your thoughts and feelings about the scale. I think I am obsessed with my scale and I don't like what it says 90% of the time! I'm the same Amanda, I have now decided to throw my scale in the furthest corner of my seldom-opened closet. I'm not even sure where to start. 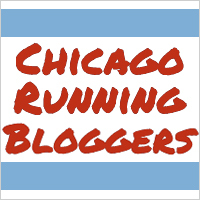 This is a great blog Katie and I'm glad I came across it. Good work on your progress so far - I dare say I'm feeling a bit motivated to start working on myself.